I have returned to Durham for yet another bronch and an appointment. I told my dad last night that it's crazy to me to think that ONLY 6 people have ever bronched me. He replied that it's crazy I used the word only considering most people haven't even had one person bronch them. I guess I get a bunch of those. Anyway I had my bronch yesterday and am currently waiting for the results. I feel similar, I imagine, to how a person waiting to see if they have cancer or not might feel. Usually I'm not that nervous about the results but this time my plans are contingent on the results. I am hopefully going to Mexico with my grandparents and friend from school (who I haven't seen since November) but if I have rejection it might mean I can't go. I have been reluctantly checking my e-mail all day. I want to know the results but I also would rather not if there is rejection, it's better living in the world with the possibility of Mexico than the world that it won't happen. I guess I never know it could happen even with rejection I'll just have to wait and see. I am also a little nervous about the treatment for rejection. If I have it this time they are going to treat me with RATG. This is an IV treatments made from rabbits and people sometimes have bad reactions to it. I have two friends who recently had it and had a bad reaction. The thing they have in common, they both have had pet rabbits. I have too, in fact I have had 7 pet rabbits throughout my life 😁. Again we will just have to wait and see what happens. In other news: the rest of our Europe trip went well. We got home on Sunday. Our last stop was Norway and it was one of my favorites. We stayed with Sebastian (our exchange student from last year). 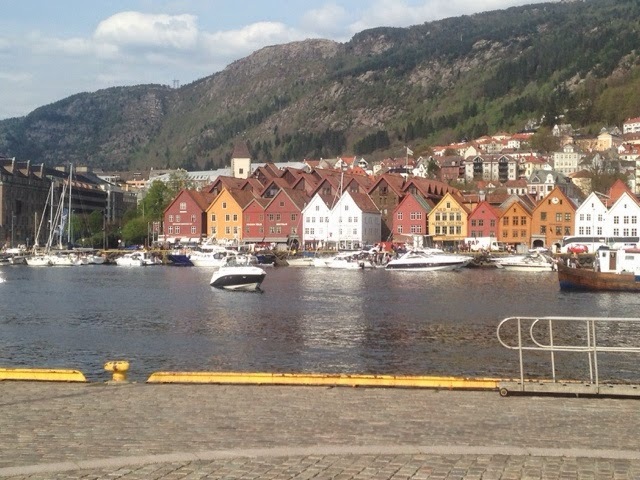 His family took us aroud and we got to see the town of Bergen. It was really nice and pretty. The area really reminded me of the mountains in Colorado if Colorado flooded! We took a tram ride (a Pinterest success!) up the mountain and we could look out all over the town. It was beautiful (just like my lungs 😜, er Freddie Joe's(what I call my donor) lungs). We also got to ride on Sebastian's Grandpa's boat which was really fun too! I love the water and going on boat rides! 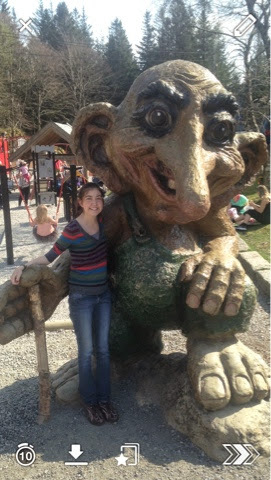 Overall despite the challenges my transplant brought it was an enjoyable trip. I am glad I was able to go, which was definitely due to my transplant. There is no way I would have survived all that walking with my old lungs! 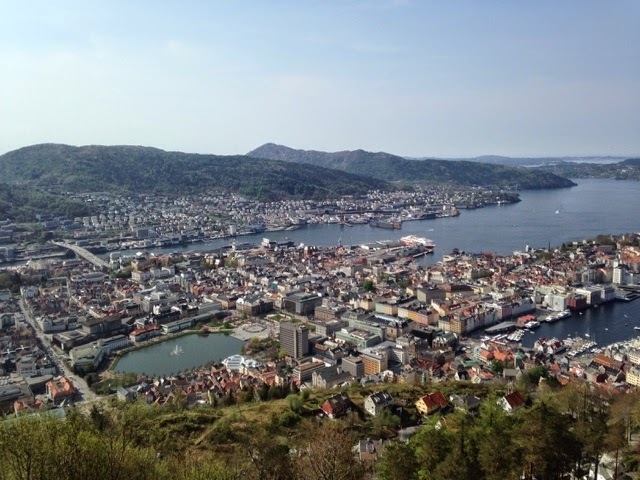 A view of Bergen from the top of the mountain. A view from the boat!